Peeling apples is a time honoured culinary tradition but you may be throwing away the best part. It’s time to park the apple peeler if you want to get the most out of your daily Ambrosia apple. 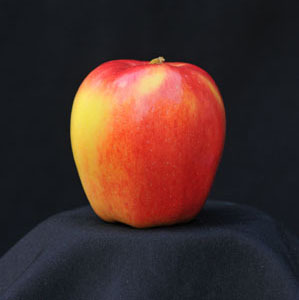 Apples are known for being a good source of vitamin C but did you know that a peeled apple only has half the vitamin C? When you eat a medium size apple with the skin on, you get 20% of your daily recommended amount but if you peel it, you’d have to eat two apples to hit that mark. The body needs Vitamin C to grow and repair tissues throughout the body. Vitamin C also helps our body heal wounds, and maintain healthy bones and teeth. We’ve mentioned this before in the Ambrosia apple blog; apples are a great source of health-boosting soluble fibre. The skins also contain insoluble fibre which is key in bowel health. It turns out that two thirds of an apple’s fibre is contained in the skin itself. Apple peels also contain vitamin A and minerals including: calcium, potassium, phosphorus, folate and iron. Getting enough of these vitamins and minerals is critical to obtaining optimal health. Here’s one more reasons to leave the skins on – it makes more sense. Literally. Eating isn’t just about taste. We use sight, smell, sound and touch to help us enjoy our food. Ambrosia apples are beautifully coloured, the skins contain much of the scent we’ve come to know and love, and nothing beats the sound and feel of a satisfactory crunch as your teeth bite through the skin. So, put the peeler away because eating an Ambrosia with the skin on is a five sense experience and the best way to get maximum health benefits out of your daily apple.